BTS Sits Next to Everyone!!! The Grammys seating chart — aka the music biz power rankings — just came out and a certain star who was born is in the front row, while the biggest Korean stars are in just about every other row. We’re slightly exaggerating but click through the gallery and you’ll see the members of BTS are literally spread out over at least 2 rows. Lady Gaga, Mark Ronson and Katy Perry are up front, while Miley Cyrus and her idol, Dolly Parton, will have a chance to get cozy. 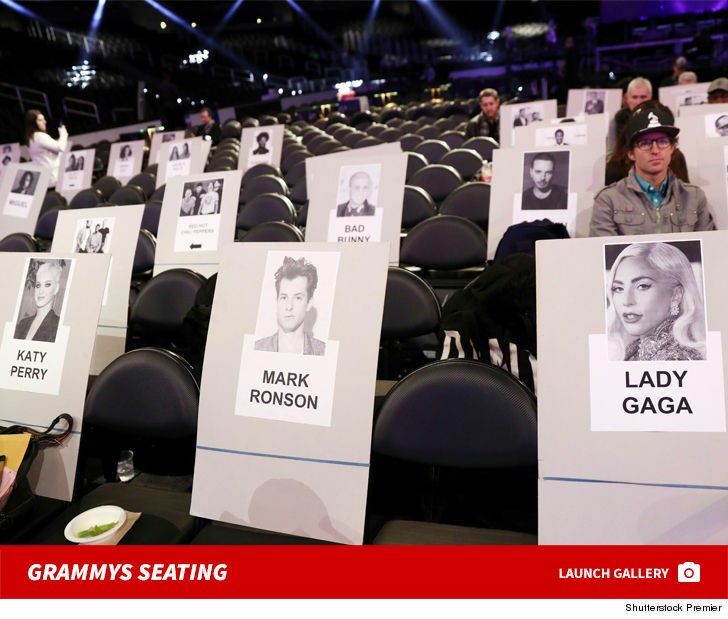 The seating chart also reveals where Bad Bunny, Camila Cabello, Drake, J Lo and Cardi B will be hanging during Sunday night’s ceremony. BTW, if Kendrick Lamar and SZA win for their “Black Panther” track, “All the Stars” … it’ll be easy to celebrate together. Wakanda forever!